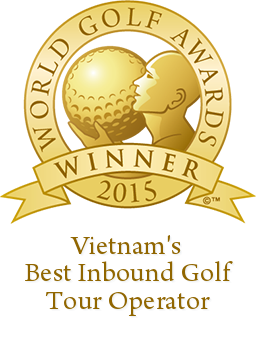 Play 3 rounds of golf in Nha Trang at Vinpearl Golf Resort and Diamond Bay Golf Resort and stay 3 days 2 nights at the international standard 5 stars Vinpearl Resort Nha Trang. Located in the world famous tourist destination of Nha Trang Vietnam, with a stunning scenery, Diamond Bay Golf & Villas is one of beautiful golf course in Asia. This beautiful course nestled in a magnificent landscape between mountains and sea creating the most wonderful experience about golf course in the world. The course has an excellent natural habitat. Here, you can feel the fragrance of the grass, the warm tropical ocean breeze on your skin, especially the hit to sea driving range. There are half a million golf holes that are spread over 34,011 golf facilities round the world, but there are only 1% are allowed to play the sea. Located in the Vinpearl Tourism Complex on Hon Tre island of Nha Trang Bay – one of 30 most beautiful bays in the world by Forbes Magazine, Vinpearl Golf Club Nha Trang consists of the first 18-hole international standard golf course on island in Vietnam with unique design, amazing natural surroundings, high quality service surely bring out interesting feelings for followers of this “noble sport” both domestic and international. 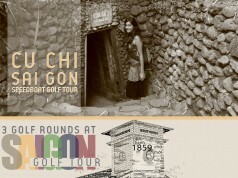 Designed by well-known IMG Worldwide (US) – The global leading golf course management company, this awesome 18-hole, 6,787 yards, par 71 championship golf course is Vietnam’s first golf course that has ocean view from every hole in Viet Nam. 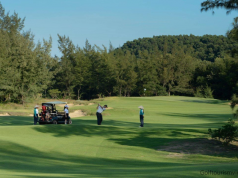 The golf course is covered by the Seashore Paspalum that is known as perennial turfgrass indigenous to tropical and coastal regions, making it perfect for use of golf courses situated along the ocean as it is well suited to the heat and salty environment. As a bright spot on the poetry yet majestic beauty of Nha Trang Bay, Vinpearl Resort Nha Trang – an international standard 5 stars resort located inside the Vinpearl Nha Trang complex of hotel, entertainment, tourism & leisure. For having a unique location with a view cover all the Nha Trang Bay, Vinpearl Resort Nha Trang coated in an luxury, poetry yet very romantic and illusion beauty. Beautiful beaches with miles of white sand, ranges of coconuts was transform under the artistic hand into one of the most beautiful and wonderful resort in Vietnam – Vinpearl Resort Nha Trang. 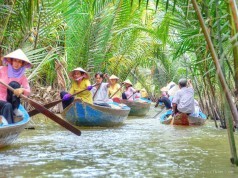 Day 3, breakfast then boat will transfer you to Hon Tre island to play another round of golf at Vinpearl Golf Club, check out then head back to airport to take the flight home. 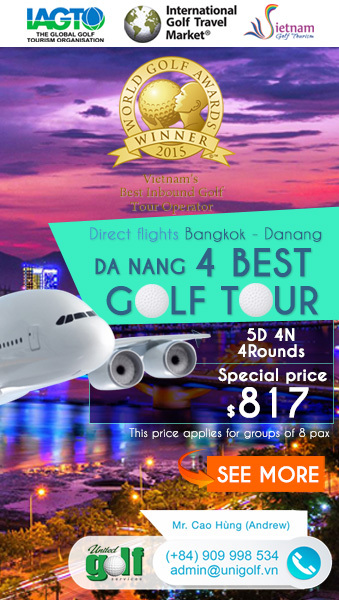 Keyword: nha trang, nha trang beach, nha trang beach city, vinpearl golf, diamond bay golf.